The registration form for the various school holidays will be posted near to the holiday. For more information please email Jana at: leap@socal.rr.com. 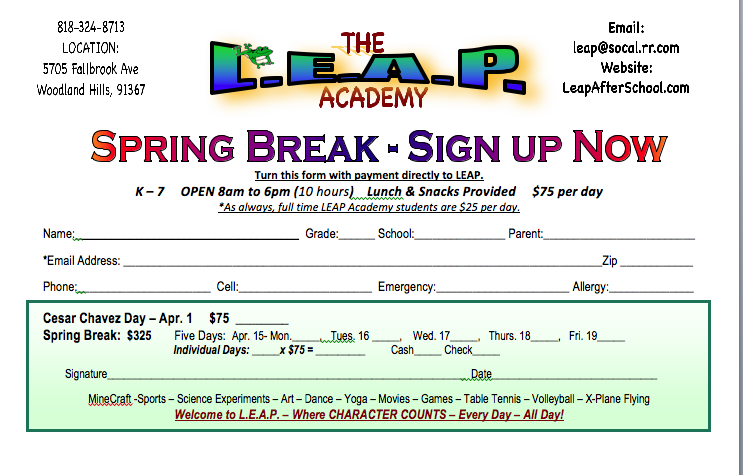 The LEAP Academy is open most school holidays and breaks from 8am to 6pm for your convenience. We serve healthy snacks and lunches (included). We keep the kids busy, so there are no "boring" days! Your kids will come home tired, but happy!